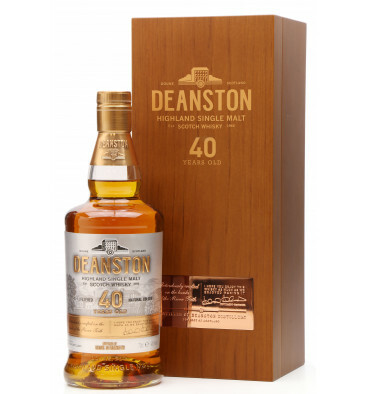 A fantastic single malt from Deanston. 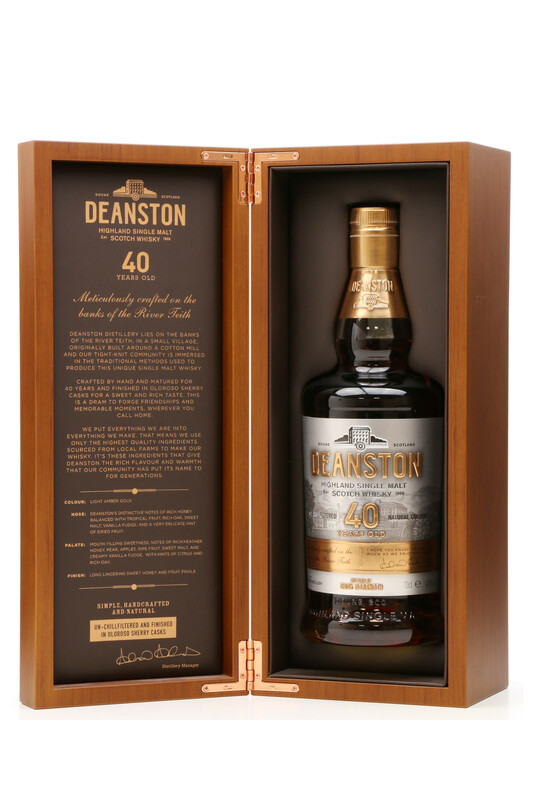 Crafted by hand and matured for 40 years and finished in Oloroso Sherry Casks for a sweet and rich taste. 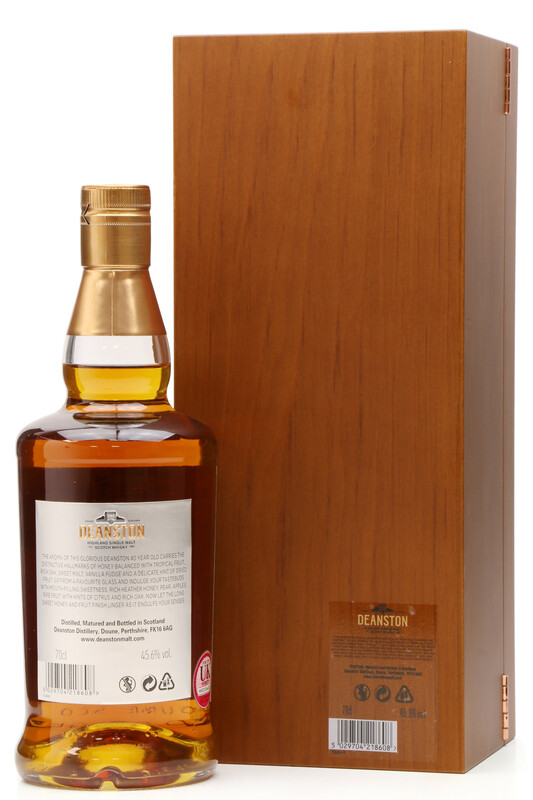 Bottled at cask strength, un-chill filtered and with natural colour. 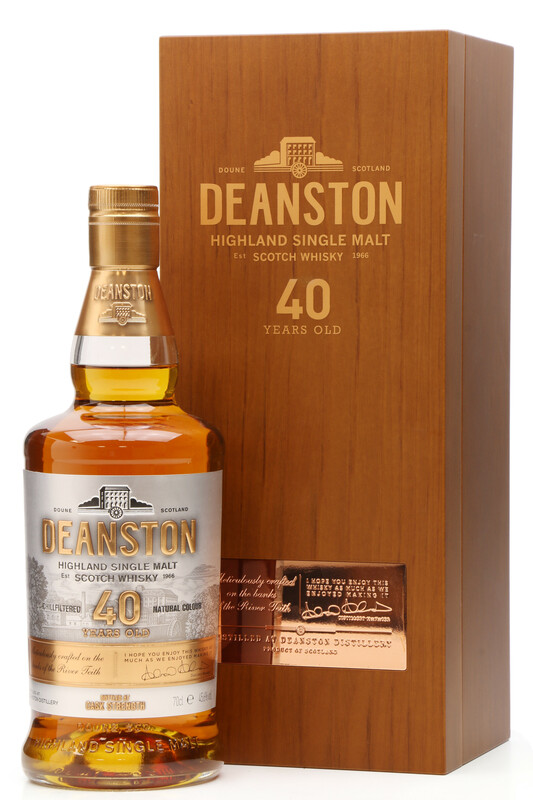 Deanston distillery lies on the banks of the River Teith, in a small village, originally built around a cotton mill. The Tight-knit community is immersed in the traditional methods used to produce the unique single malt whisky.